ESPN has just posted their 25 Highest Paid Athletes in the World through their website and on top of all the highest earners are boxing icons Floyd Mayweather and our very own Manny Pacquiao. Next were football players Messi and Ronaldo who has a close earnings for 2014 and 2015. Followed by Formula racers Vettel and Alonzo with $50M and $40M earnings respectively. This list were compiled by ESPN's The Magazine 2015 survey. And below are athletes who are on the top list. 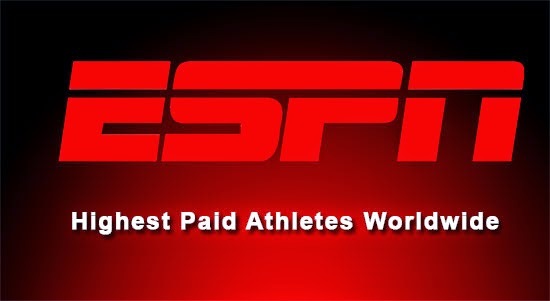 Comments or suggestions about "List of Highest paid Athletes worldwide by ESPN" is important to us, you may share it by using the comment box below.